Where is it? Le Flamma, 15 Argyle St.
What’s on offer? One of Le Flamma’s authentic flammekueche, an Alsacienne speciality like a very very thin, crispy pizza without the tomato sauce, accompanied by a glass of red or white wine. Is it any good? Definitely. I spent a month in Strasbourg and had great memories of flammekueche, so I was really keen to see if it measured up – which it definitely did. 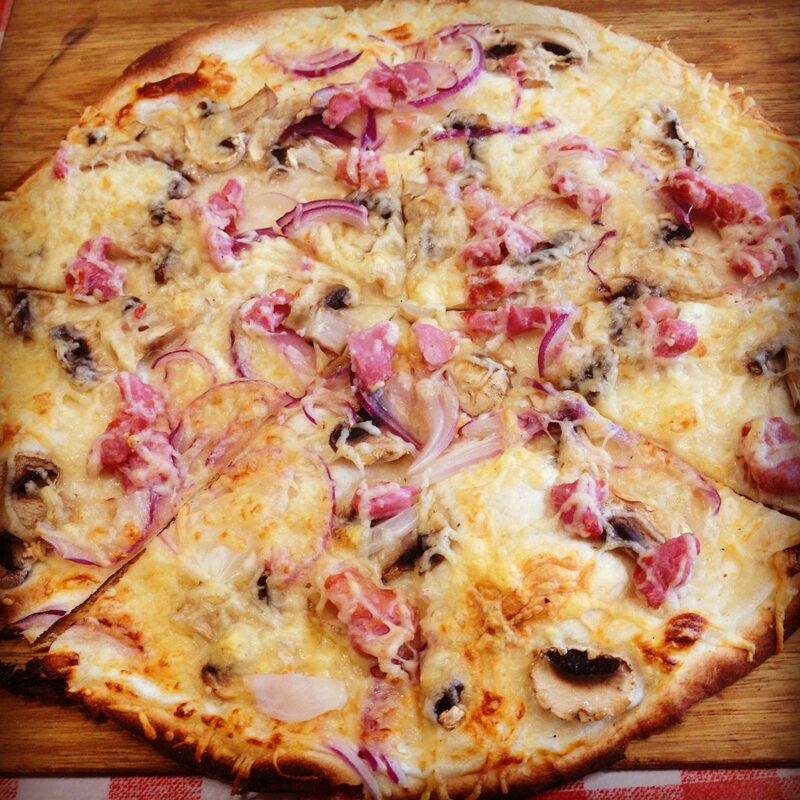 I chose the forestière flammekueche, with lardons, mushrooms, and red onion, which was really delicious, and there were loads of other tempting options. Why this place? This is a bit of a hidden gem as far as I’m aware – but it deserves to be much better known. The atmosphere inside is pure France, and the food is great. Marks out of ten? 9/10. Lovely food, good atmosphere, a generous glass of wine and lots of menu options. If you fancy trying something new, I’d really recommend Le Flamma.